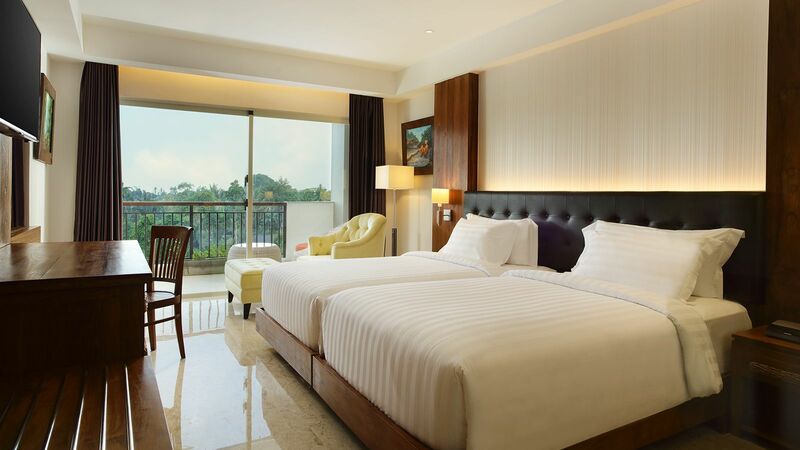 Plan your holiday with us and enjoy various benefit including daily free scheduled shuttle to Central Ubud, various daily complimentary activities, breakfast at Sungai Restaurant, options of various Naga Rooftop Bar promotions, and many more. 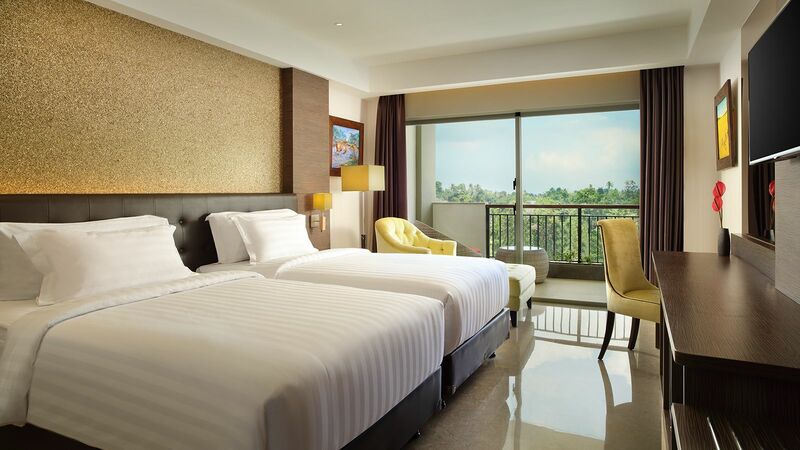 Sthala, A Tribute Portfolio Ubud Bali, the second Tribute Portfolio by Marriott International. Located in the village of Lodtunduh which offer a lovely community and quite location, 10 minutes from Ubud Central. All you need is in a package. Offer memorable Bali honeymoon experience at Sthala, a Tribute Portfolio Hotel, Ubud Bali with Honeymoon Jungle Suite Package in nature ambience of Ubud culture. Unforgettable memorable Bali honeymoon experience at Sthala, a Tribute Portfolio Hotel, Ubud Bali. Honeymoon Jungle Suite, features bedroom with a king bed. and separate living room area with comfortable sofa, kitchenette, coffee machine and an extended balcony overlooking to the river and jungle. The suite bathroom features a bathtub and a single shower as well as double vanity sinks. 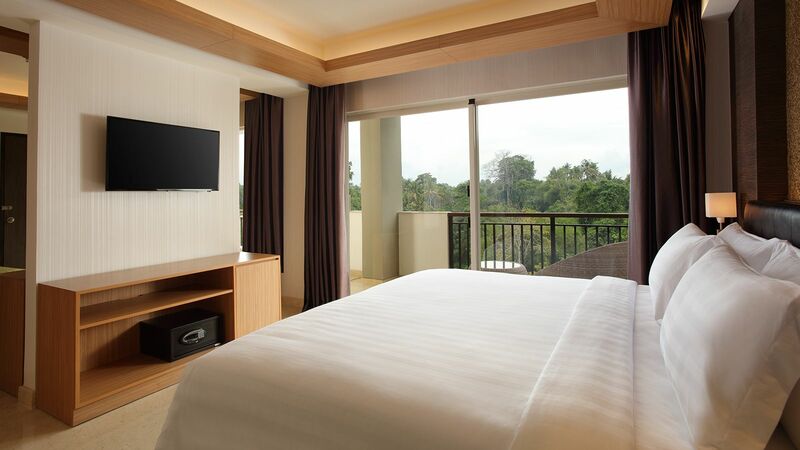 Lock in our lowest rates, get free Wi-Fi and earn Starpoints® on your next hotel stay at Sthala, A Tribute Portfolio Hotel, Ubud Bali. We are pleased to arrange your priority in details. With us, your meeting is more than just tables and chairs. Experience dining with Sthala, A Tribute Portfolio Ubud Bali. Start your day with our all day dining Sungai Restaurant with a beautiful view of green Abing Terrace while listening to relaxing Wos riverflow. Unwind and enjoy the best sunset from the only rooftop bar in Ubud, Naga Rooftop Bar. Adorn your most cherished moments with authentic balinese ambience. A wedding chapel or outdoor Abing Terrace with beautiful tropical landscape in Sthala offer a truly wonderful moment. Find balinese ambience event, facilities and service. Host your wedding or special event with us. We look forward to welcome you and to assist you going around beautiful wedding venues at Sthala, A Tribute Portfolio Ubud Bali. Set in Ubud suburb, Lodtunduh village offers a peaceful athmosphere. 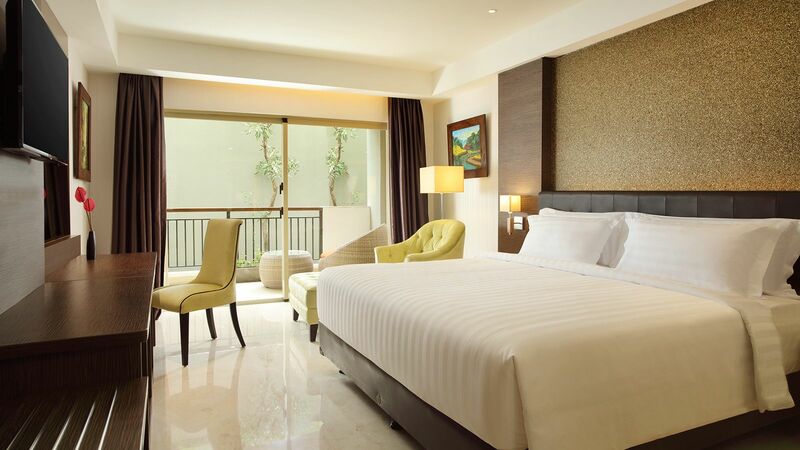 Enjoy the central Ubud only in 10 minutes from our hotel. Babi Guling Ibu Oka "Suckling Pig"